Create dramatic yet femenine look with Bella flower ring made from black tone metal. 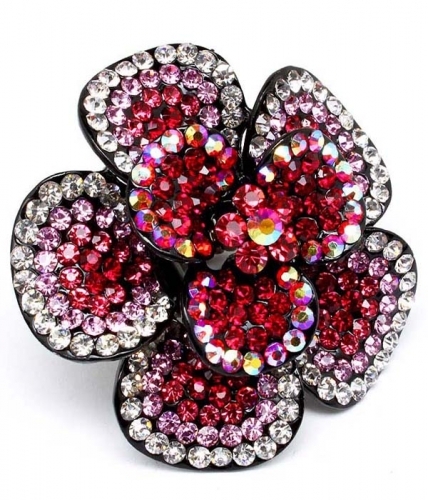 The flower has got five large and three small-sized petals abundantly adorned with clear and fuchsia crystal studs. Purchase one of our fashion rings and other jewellery to qualify for a free bonus bling gift.